Some good news. 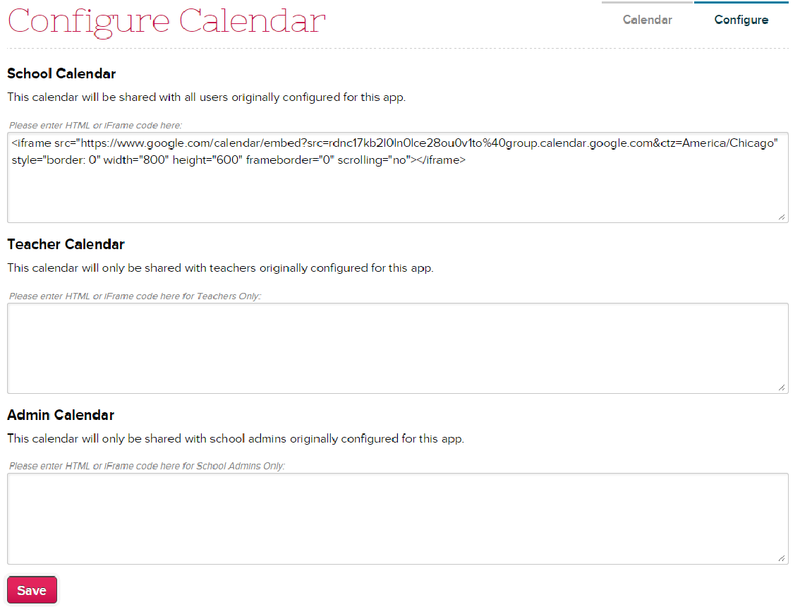 The Calendar App on the QuickSchools App Store now supports multiple calendars, if you have separate/internal calendars for teachers and administrators. The changes are backward compatible, so all schools currently using the Calendar App will see no changes for regular users. But you do have the option of adding additional calendars now.